The pipeline’s offshore section will be constructed within the project, Gazprom will be investing in his part of the pipeline. 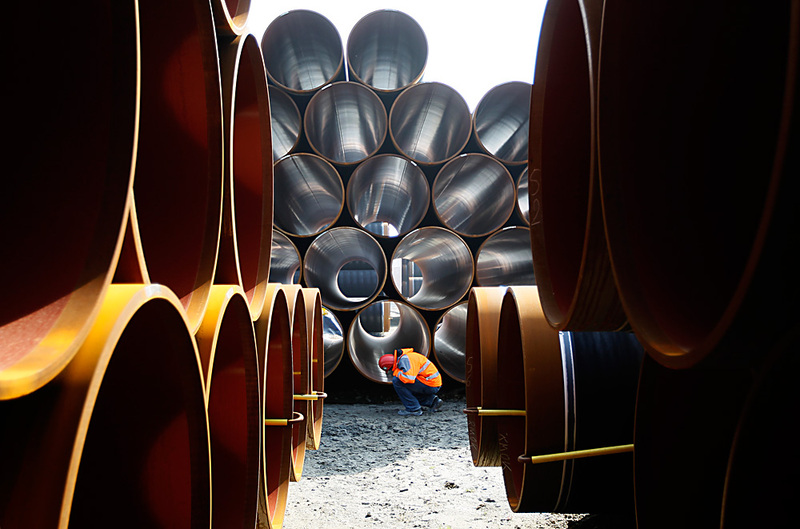 The works on installation of the Turkish Stream natural gas pipeline will be launched in 2017, Russia’s Energy Minister Alexander Novak said at the meeting of the intergovernmental commission between the two countries on Oct. 12. "The intergovernmental agreement, which specifies the terms of the project’s implementation by commercial companies, was signed on Oct. 10. The time of completion of the works is end-2019. Currently, a big preliminary work is underway," he said, adding that "the installation of the gas pipeline itself will start in 2017." According to Novak, the pipeline’s offshore section will be constructed within the project, Gazprom will be investing in his part of the pipeline. One onshore line with capacity amounting to 15.75 billion cubic meters will be 100 percent owned by Botas as it is aimed for Turkish consumers, the Minister said. "The second line for Russian gas transit to Europe will be financed and owned by a 50/50 joint venture between Gazprom and Botas. The JV will raise funds for the construction of the pipeline infrastructure," he said. Read more: What did Putin and Erdogan agree to?